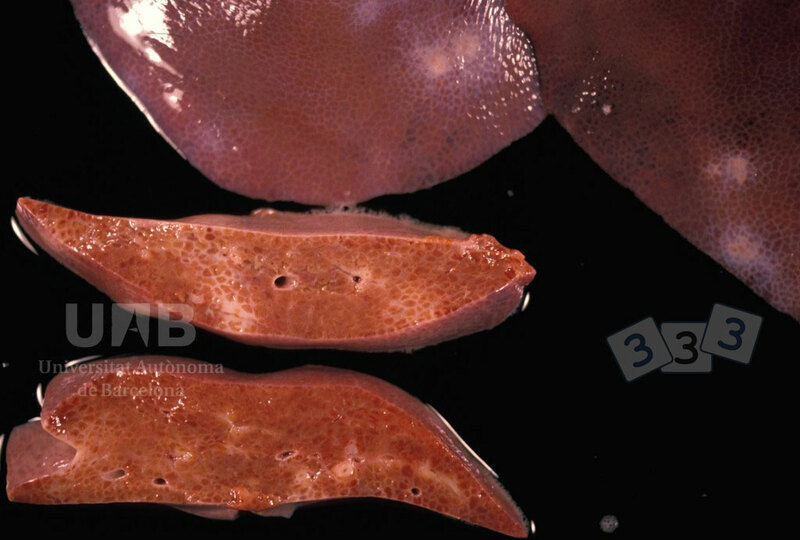 These lesions are due to migration of Ascaris suum larvae trough the liver parenchyma. This migration produces an interstitial inflammation that is replaced by fibrous tissue in the chronic stages. All of this is observed grossly as multifocal whitish areas, usually called “milk spots”.